Over the past several months, FOCUS St. Louis has undergone an extensive program assessment as part of our 2015-18 Strategic Plan. With the help of experienced outside consultants, this evaluation took a critical look at each of our seven civic leadership programs. Our Board of Directors has carefully reviewed the findings from this process and made several decisions to ensure our programs further our mission, continue to serve the leadership needs of the region, remain competitive in the marketplace, and are sustainable in the long-term. The most immediate change the Board approved is a decision to sunset the Coro Fellows in Public Affairs program at FOCUS after the 2018-2019 program year. The decision to retire a program – especially one that has been transformative in the lives of many graduates – is never an easy one. The Coro Fellows program in St. Louis has a rich history, with more than 400 graduates across the country making a difference in their communities. The quality and the reputation of the program is without question. However, it is a program that has seen increasing challenges, particularly in terms of recruiting, resources and retention of graduates within the region. As an organization, we remain focused on educating and connecting leaders to work toward a thriving St. Louis region. We believe this decision will allow us to refine the leadership opportunities FOCUS is offering to best serve our participants and further the overall mission of the organization. We know there may be questions, and we’ve tried to address some of these below. If you have additional, we invite you to reach out to FOCUS President & CEO Dr. Yemi Akande-Bartsch at (314) 657-4019 or yemia@focus-stl.org. Our thanks and appreciation to all the alumni and partners who have generously supported the Coro Fellows program with their time and resources. What about Coro Women In Leadership? FOCUS remains a Coro center, alongside New York, San Francisco, Los Angeles and Pittsburgh, and will continue to host the Coro Women In Leadership program. Will there be program changes for the 2018-19 cohort of St. Louis Coro Fellows? No changes are planned for the Coro Fellows program staff, class size or curriculum. The 2018-19 cohort will participate in the same rigorous and intensive learning experience for which the Coro Fellows program has come to be known. What does this decision mean for St. Louis Coro Fellows alumni? Graduates of the St. Louis Coro Fellows program – whether working in the region or around the globe – will continue to be part of the thriving FOCUS alumni network and the Coro community. All will continue to have access to the Coro National network and services such as the Coro Classifieds. In addition, we are working to expand our own alumni programs and services to better serve the needs of all FOCUS and Coro alumni. Are there changes planned for other FOCUS programs? We are continually reviewing, evaluating and updating our programs to better prepare leaders and meet the changing needs of our region. Many of these changes take place behind the scenes with curriculum updates. More visibly, this fall we’re rolling out an expanded Emerging Leaders program for young professionals. We’re also revisiting the content of each of our leadership programs to provide more hands-on learning and experiences. Is this the end of the Coro Fellows program in the region? 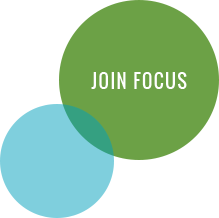 After the 2018-19 class, FOCUS will no longer continue to host the Coro Fellows program. If the Coro National board seeks to find another home for the program in the region, FOCUS will be supportive of this transition in any way we can.